It's been a busy few weeks, what with Woolfest, custom orders, shop orders, fairs and life in general, so I haven't posted as often as I would have liked. 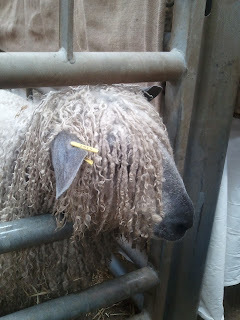 Woolfest was wonderful as usual, things had been changed this year and I know from Ravelry that there was a lot of upset about stallholders not getting in which must have been very disappointing, but, I thought that the change of faces was refreshing. 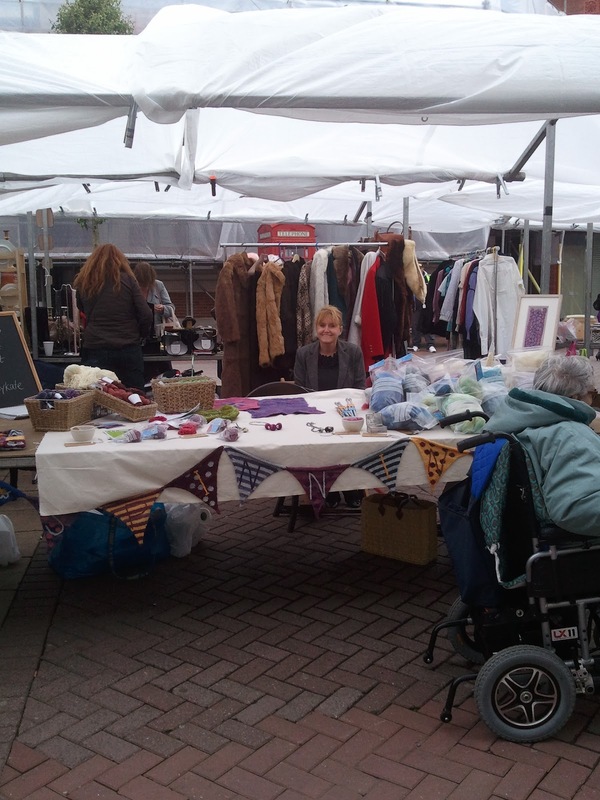 I really enjoyed seeing new stalls and ideas. I'm not sure about the larger companies being there, no names of course, but for me, Woolfest is about the indie dyer, the smallholder, the feltmaker, and that's what makes it special. I hope it's not a trend. 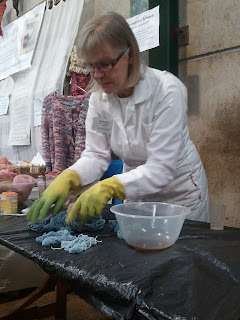 I watched a demo by Alison Yule from Pure Tinctoria, her dedication to saving water and the environment is infectious and I've been inspired to take up natural dyeing again. I talked to Alison about the faff (sorry natural dyers) that was involved before the powders were available but now it's so much easier, I'll be doing some experiments myself, starting Monday. 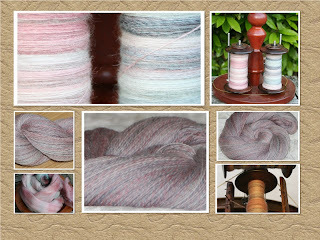 Over the last week, I've been watching Felicia Lo's Spinnning with Dyed Fibre class on Craftsy. Felicia is from Sweet Georgia, a fibre company based in Vancouver. I've followed her blog for about 5 years and it's been great to see her class. As a dyer, I've developed my own ways of doing things, never really being sure if there isn't a 'proper' way to do it, but you know, it's all ok! Felicia explains how when you buy that bag of dyed fibres there are different ways to deal with the colours you're faced with, and how each method you use will affect your finished garment. I'd definitiely recommend it and I've been so impressed with Craftsy I'll probably take another class too! Back in my own etsy shop, I'll be posting new niddy noddies, fibres and yarns over the next couple of days so keep a look out if you're after a Wrathall special niddy noddy! My poor etsy shop looks devoid of love and items! I tell you I was tempted forget all my principles and nick one of the fur coats from the stall behind me!